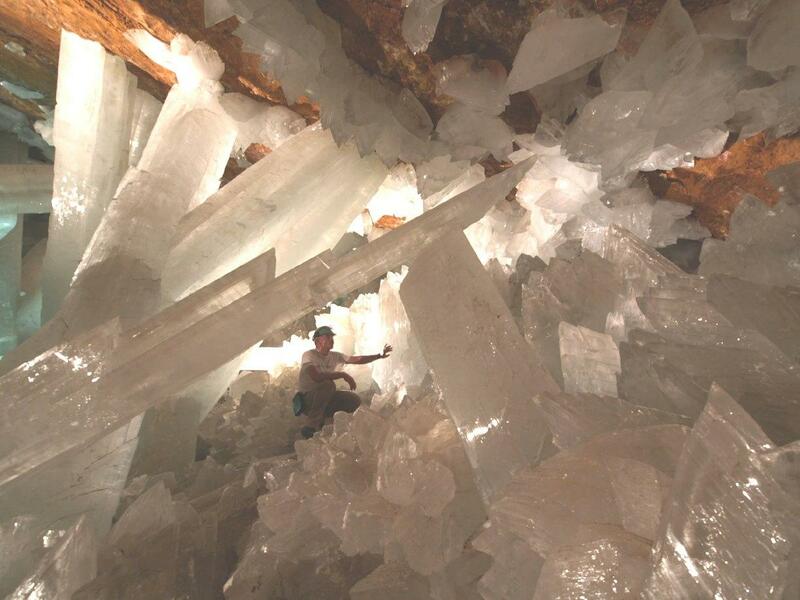 Crystals are awesome. Not because of healing auras and crap like that, but because of their geometrically regular form and symmetrically arranged plane faces. 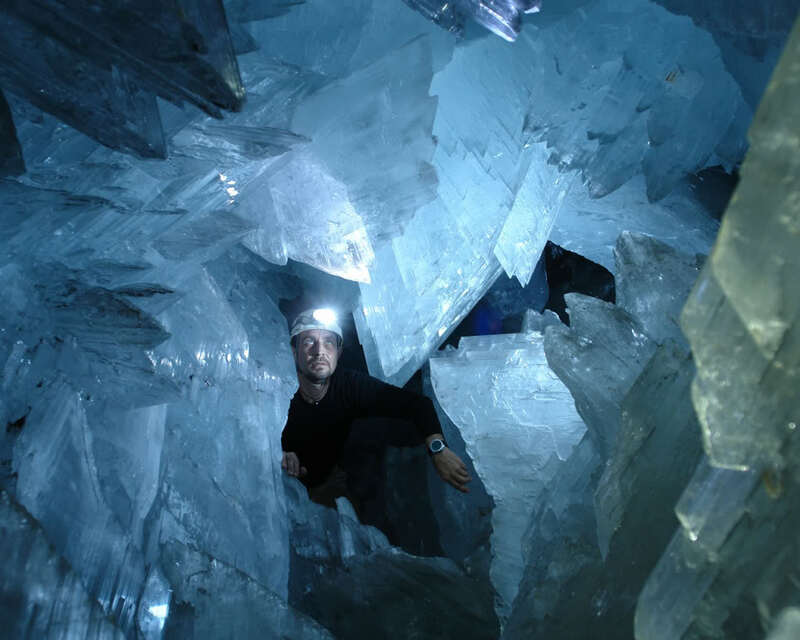 Hot Springs Island, being a place where water and fire duke it out beneath the earth, contains a number of crystal caves. A couple are being mined by an efreet, and one, hidden away beneath a lagoon, serves as the (perhaps last) refuge for a group of nereids. The nereids have been on the losing end of things for several millennia, and many of their sisters are dead or captured. 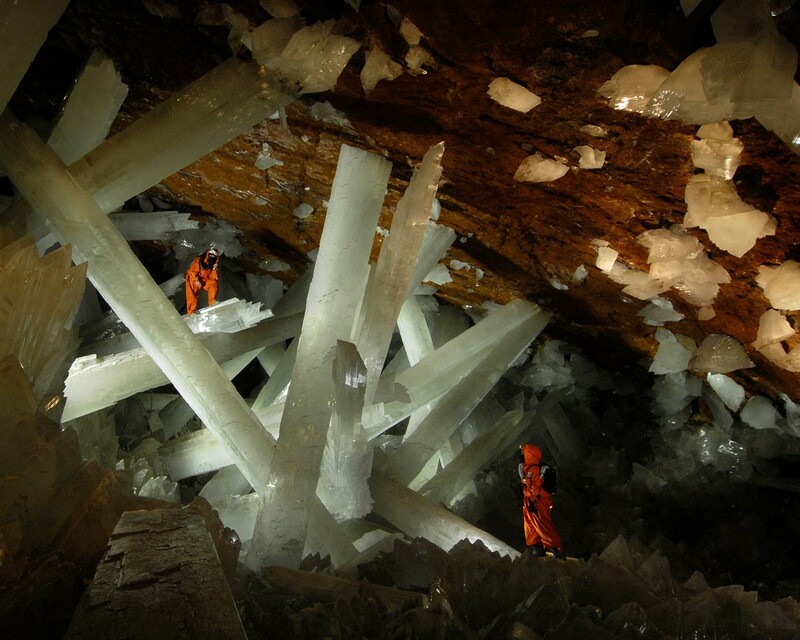 Until the last nereid is freed (or accounted for) the survivors have engaged in an unbroken lament, singing in shifts for a thousand years inside the Crystal Sea Cave. 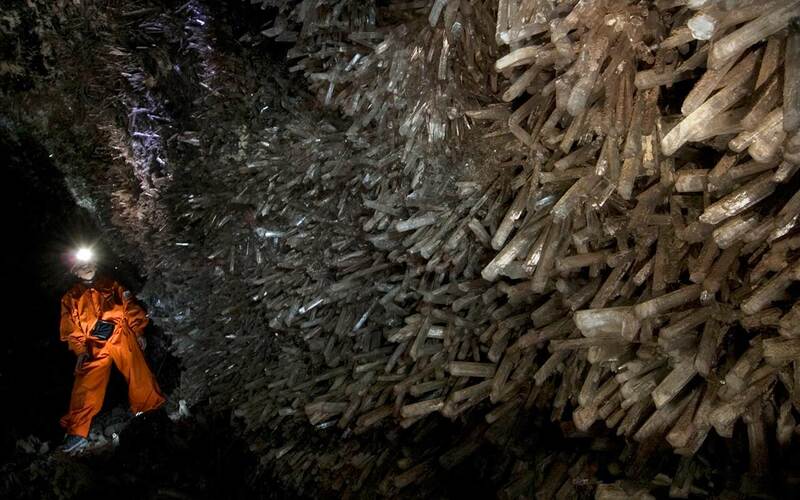 The saying we toss around while designing stuff up is "go big or go to hell" so I wanted to include massive crystal growths in most all of these caves. 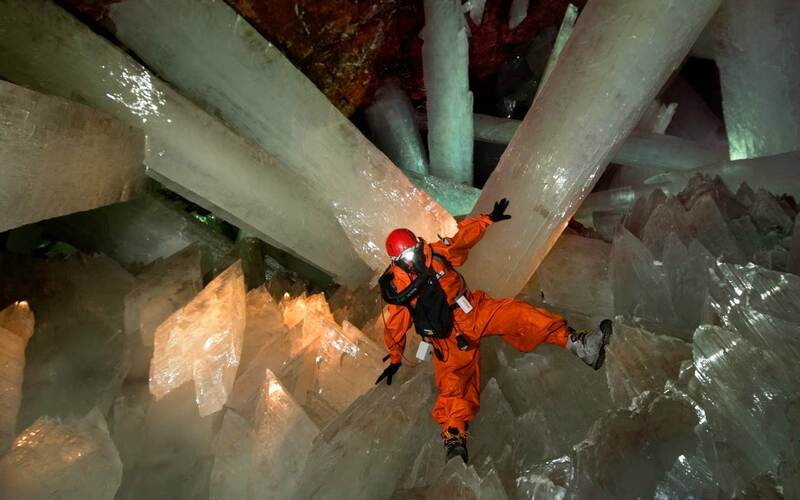 As I was writing things up though, I began to think that I might be getting a big obscene with the crystal sizes (fantasy or not), and then I remembered the Cave of Crystals in Naica mine in Mexico, and all concerns evaporated. Here are a few of the reference pics I found. 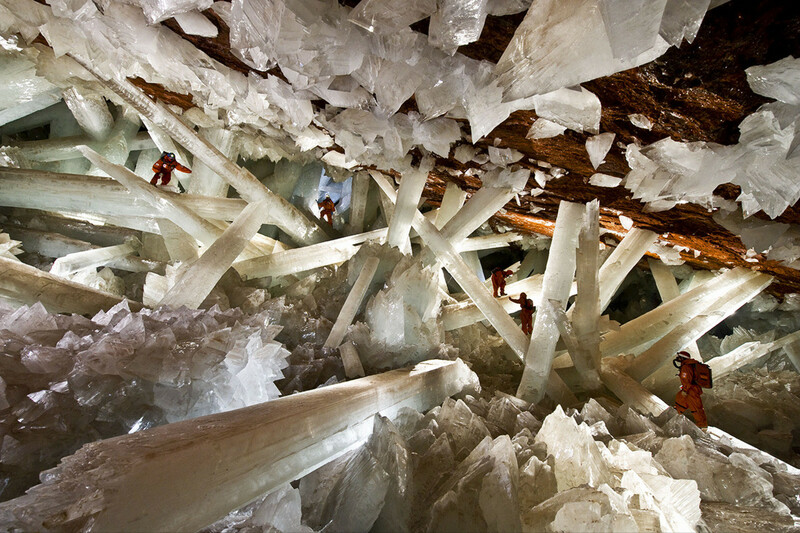 Just imagine the humans in the pics wearing adventurer gear, and add haunting, wordless singing of unimaginable sadness echoing through the chambers.